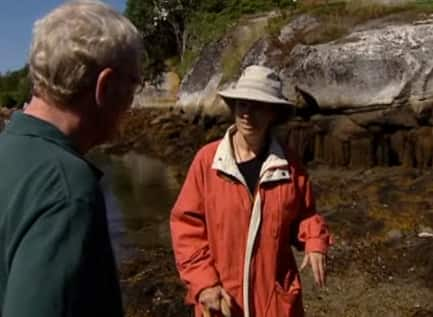 Debbie MacKenzie is not a scientist but she has been watching the ocean out her front door for five decades. She doesn't like what she has seen. The shorelines have changed because, she believes, the oceans are dying. The plant and animal life at the waters edge is much different than just few years ago, there are fewer marine mammals to be seen and fish appear to be starving. There are fewer nutrients in the ocean today and Debbie MacKenzie believes overfishing has created the problem. For more than thirty years Land and Sea has brought you stories from people who live off the land and the sea. We cover issues that affect people in rural communities which ultimately affect those in cities as well. We bring you stories from those who celebrate life living close to nature, who promote and protect their culture and traditional ways of doing things. There are stories of success and sometime failures that portray the unique way Atlantic Canadians deal with the challenges and pleasures of living on the east coast. Join us Sundays at 12 noon on CBC Television.